The Islamic State insurgents kept up their offensive to seize the Syrian Kurdish town of Kobane on Saturday, but Kurdish fighters backed by U.S.-led airstrikes have so far held back the IS militants from entering the town. Fighting raged today and mortar shells pounded the town as smoke rose above it, AFP reported. 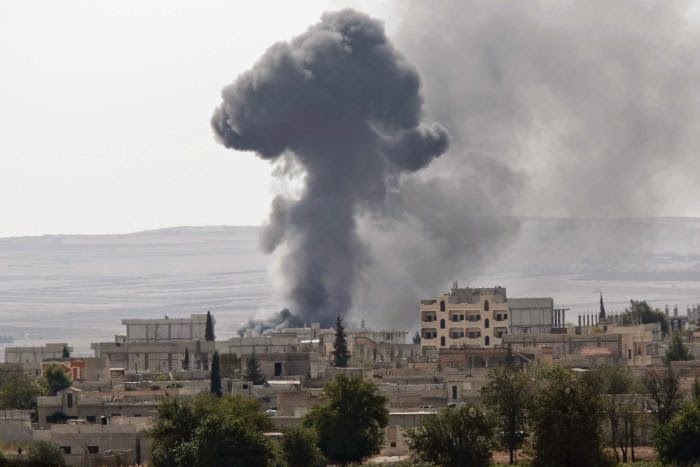 U.S.-led airstrikes late Friday targeted Islamic State positions on the outskirts of Kobane. Turkish troops and armor units were positioned on the border across Kobane, and although the Turkish parliament voted overwhelmingly on Thursday authorizing military action against the Islamic State, the government has not yet ordered its military to counter IS militants advancing toward the town. The Turkish government considers the main Kurdish fighting force defending Kobane, the YPG, as ideological and political opponent.